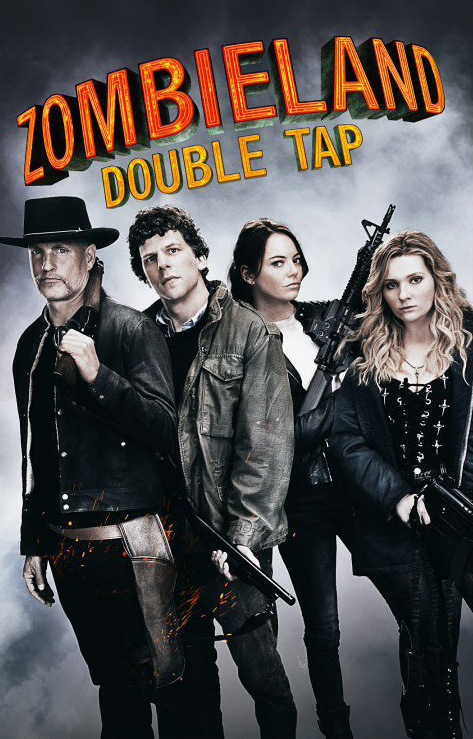 Sony’s Columbia Pictures has released the first poster of the returning cast of the long-awaited Zombieland (2009) sequel, officially titled Zombieland: Double Tap! Check out the poster in the gallery below! The sequel features the return of stars Woody Harrelson, Jesse Eisenberg, Emma Stone and Abigail Breslin. Rosario Dawson joins the cast with Zoey Deutch (Set it Up) and Avan Jogia (Victorious). In ‘Zombieland 2’, Columbus, Tallahasse, Wichita, and Little Rock move to the American heartland as they face off against evolved zombies, fellow survivors, and the growing pains of the snarky makeshift family.